Reserve online, through your preferred travel professional, or by calling our Worldwide Reservation Offices and mention the promo code RFT. A minimum of two-night stay is required. Reserve online, through your preferred travel professional or by calling toll-free at 1-877-787-3447 and mention Promotion Code RFT. Offer is valid at participating St. Regis Hotels & Resorts, please see participating property list. Offer is valid for stays booked and completed by 31 December 2015. 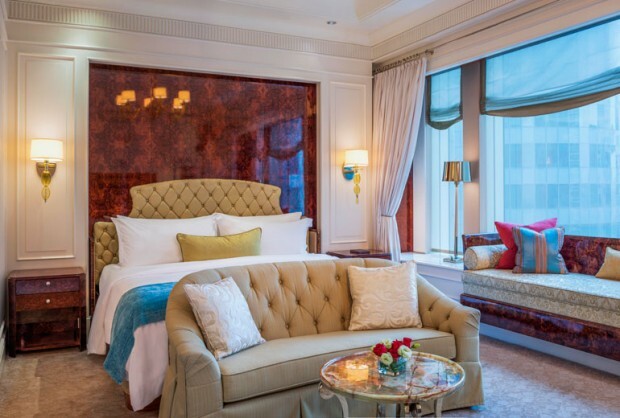 A minimum stay of two nights is required at St. Regis Hotels and a minimum stay of three nights is required at St. Regis Resorts. Maximum of 4 guests per room (2 adults, 2 children). All package amenities associated with this promotion are per room, per eligible stay and include: suite accommodation with Personal Butler Service, 4pm late checkout (based upon availability), 2 SPG Kids Food & Beverage pass for SPG Members (where available), unlimited Children's Club Access (where available), and a daily resort credit to be applied toward a Family Traditions at St. Regis Experience. (daily resort credit varies by property) Guests can also apply the resort credit towards other outlets/venues (varies by property). Guest forfeits any of the credit not used during eligible stay. The credit has no cash value. Services offered in the package are non-exchangeable and non-refundable and may be replaced with a similar item without notice, based on availability. An eligible stay is defined as 2 (at Hotels), 3 (at Resorts), or more consecutive nights paying a qualifying rate in the same hotel regardless of the number of check-in or check-outs that occur. Checkout St. Regis Singapore for more details and to book your accommodation now!